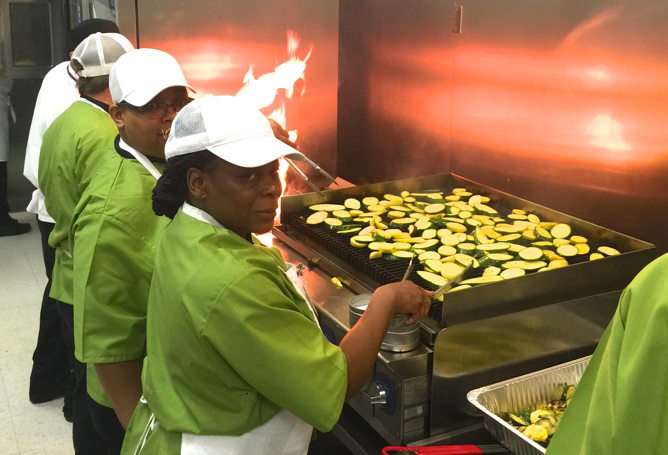 Students in Class 50 prepare squash on the grill. And what was making all that wonderful sizzling heat and fire? Likely some lucky Encore Catering client is about to find out.